Full credit to the board of Thomas Cook (TCG) for issuing its profit warning promptly rather than wait a couple of days until it was due to announce results anyway. Cook rightly warned that it was about to suspend the dividend. Releasing information, especially bad news, clearly and at the earliest opportunity is to be commended. Perhaps the directors have learnt that there is no point trying to hide things from the market, as they cackhandedly attempted to do in September when a trading update unsuccessfully mixed the bad news in among fair words of pious hopes. Although revenue was up 6% on a like-for-like basis, profits were down. 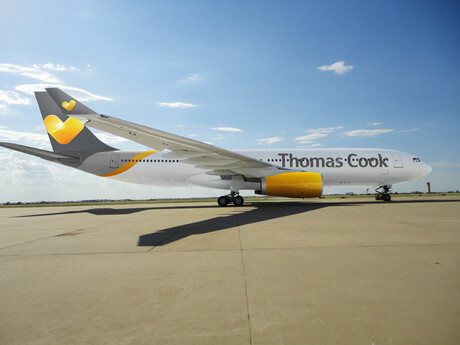 There were special factors, such as having to heavily discount prices for late bookings and higher disruption costs on the airline side, but there always seem to be special factors hitting the holiday market, especially Cook. Another worry is that net debt is up thanks largely to those late bookings. While there is no immediate danger of Cook breaking its banking covenants, this is another step in the wrong direction. Cook is supposed to be going through a transformation. This is changing in the wrong direction, despite protestations that good progress has been made and the group is well positioned for the next 12 months. The shares slumped by a third on the profit warning, even worse than the 28% fall after the September update. They have lost more than 100p since peaking at 146p in May. Try as I may, I cannot accept the argument that Cook is now a buy at a bargain price. Stay well away. Funnily enough, only after Cook’s warning the smaller and more nimble On the Beach (OTB) demonstrated that it is possibly to thrive in the holidays market. Revenue, profits, earnings per share and dividend were all well into double digit growth. Net cash is also substantially higher. Admittedly the international side has not done well as the unusually hot summer in Scandinavia led to lower demand. When rivals started heavily discounting On the Beach bit the bullet and stopped marketing, which hit revenue but minimised losses. Undeterred, it is opening up in Denmark. The fourth quarter of the calendar year is, in common with all holiday companies, the quietest but there are early strong signs for next summer. The shares have suffered along with the whole sector since May, dropping from 650p to 400p. They look a far better bet than Thomas Cook to me. And at least On the Beach pays a dividend. There was some fear that full year results from soft drinks maker Britvic (BVIC) would fall flat, so shareholders should be well content that revenue grew 5.1% and profits by 4.9% in the 52 weeks to 30 September. The dividend total rises from 26.5p to 28.2p. The yield is just above 3%, not fantastic but perfectly respectable and at least it is well covered. Britvic seems to be coping well with any difficulties that crop up, such as the move to curb the sugar content of drinks and a temporary shortage of carbon dioxide in the UK and Ireland during the hot weather. France has been the one problem area this year but otherwise the group is expanding at a sensible pace into new territories through franchising, exports and licensing. The shares actually touched 838p during the day of the announcement before settling just below 820p. They have fallen back on four separate occasions in the past couple of months after edging above 830p so that level does seem to be a stumbling block. However, they finally managed to move up to 845p. I feel that now they have broken through the ceiling they will stay above it.